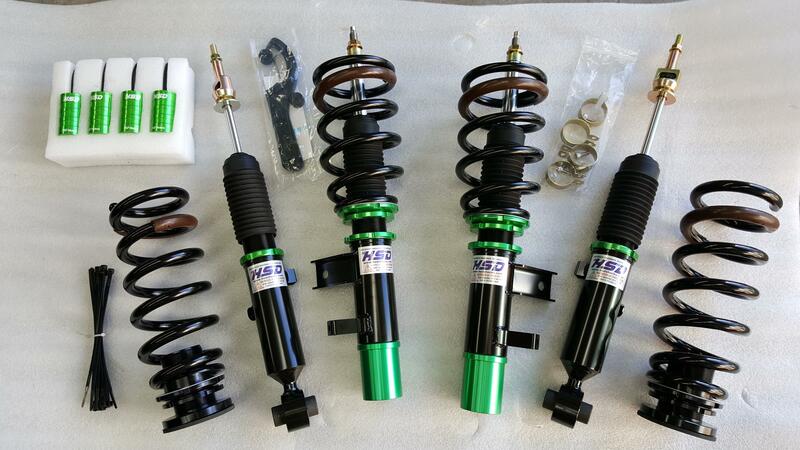 New HSD coilover kit for Kia Stinger, featuring adjustable height and 16-step damper adjustment. Also features canceller modules to make the original suspension computer think everything is normal. Spring rates to be advised.